HomeAll articlesInertial Systems, MotionETLG Inertial Aerosystems announces the release of a significant update to the class leading SDN500 digital quartz MEMS GPS Inertial Navigation System (GPS/INS). ETLG Inertial Aerosystems announces the release of a significant update to the class leading SDN500 digital quartz MEMS GPS Inertial Navigation System (GPS/INS). ETLG Inertial Aerosystems announces the release of a significant update to the class leading SDN500 digital quartz MEMS GPS Inertial Navigation System (GPS/INS). Manufactured by US based Systron Donner Inertial (SDI), the SDN500-xE product update provides a newer generation JF2 (C/A) Code GPS receiver and tightly couples the 1 PPS GPS signal to the SDI505 IMU synch pulse to improve heading performance and reduce jitter after long periods of operation without dynamic inputs. The SDN500 offers superior tactical grade performance not available in any other MEMS GPS/INS system. 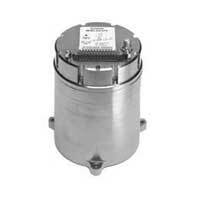 It integrates SDI’s latest generation quartz gyros capable of 0.5/hr. bias in-run stability and exceptionally low ARW (0.02/hr.). Quartz accelerometers deliver 0.5 mg in-run bias stability and low VRW (80g/Hz.). The high speed digital signal feeds into a tightly coupled GPS-aided Inertial Navigation System for tactical navigation and geo-location applications.